Colt Poker accepts USA players and they have a wide variety of the popular Texas Hold'em, Omaha and Omaha Hi/Lo including the 7 Card Stud and Stud Hi/Lo. They also offer 10 seated, 6 seated and head's up tournaments, such as the Sit 'n Go. Players may also take part in the Double Up tournament where the top 5 finishers will double their buy in at a 10 seated table. Colt Poker offers an online casino with basic table and slot game too, which all have quality graphics. 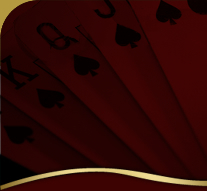 Colt Poker offers their players banking options, such as USA Credit Cards, American Express, Money Gram and Western Union. Colt Poker was established in 2011 and is part of the Cake Poker Network. They are located in Curacao. Colt Poker offer their players a 110% match sign up bonus up to $600. There are also promotions that include Gold Cards and Gold Chips which may be redeemed for cash, prizes or tournament tickets. Gold Stacks is the latest promotion on offer where the more chips a player stacks, and the faster a player stacks them, the more he will earn.